The oceans cover the majority of the Earth's surface; they influence our climate and provide a valuable source of food to billions of people. Yet despite its fundamental impact on our lives, many aspects of the marine environment remain a mystery to us. 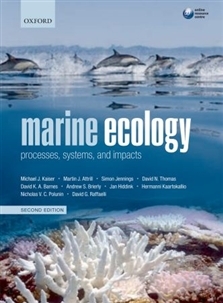 Marine Ecology: Processes, Systems, and Impacts offers a carefully balanced and stimulating survey of marine ecology, introducing the key processes and systems from which the marine environment is formed, and the issues and challenges which surround its future. 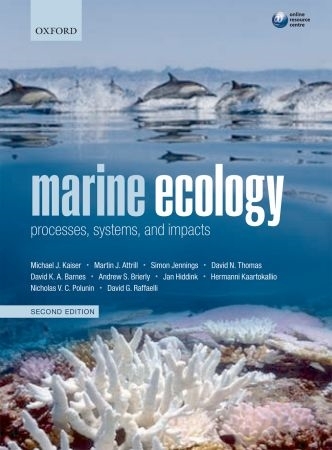 Opening with an overview of the processes and interactions which are central to an understanding of marine ecology, the book goes on to explore the diverse systems from which the marine environment is composed, from estuaries to seabeds, the deep sea to polar regions. The final section examines human activities that impact upon the marine environment - fisheries, aquaculture, pollution, and global warming - before considering measures that can be taken to mitigate their adverse effects on this complex, fragile environment.